In my last post here I promised to share more about what I have been learning about the cosmetic industry and how it pertains to us as consumers. An important step in becoming an informed consumer is to understand not just what is listed on the labels (more on that in later posts) but perhaps even more importantly what may not be on the label. To go along with these potentially missing items we should also understand why they are allowed to be left off under the current regulations of cosmetics. The company that boldly confirmed the years worth of rumors about companies using bi-products of aborted fetal tissue in skincare products is a company based out of Switzerland by the name of Neocutis. They were the first, and to my knowledge the only company to openly disclose and even use it as a positive marketing point of their products the fact that they use PSP® (Processed Skin Cell Proteins) and openly discloses that it is derived from fetal skin cells. This can leave one wondering why and how a company could have used ingredients like this and even had the option to leave it off the label. It seems like a pretty important thing to know about a product before you use it. Here’s something you need to understand about almost all skincare and cosmetic companies. They are not Full Disclosure companies. As a matter of fact, most are anti-disclosure companies. From a business perspective it does make sense. If you disclose everything you put into a product it means your competition can knock off your product faster and easier than perhaps they could otherwise. Understandably there is a desire to protect ones unique, usually costly to develop and have tested product. So how is it legal to do this though? As any business owner can attest, just because something makes good money making sense it does not mean it’s legal. Aren’t our rights as consumers supposed to be protected by laws and policies set in place by Government Agencies? And shouldn’t our rights to be informed consumers supersede a companies money making interests? Cosmetics marketed in the United States, whether they are manufactured here or are imported from other countries, must comply with the labeling requirements of the Federal Food, Drug, and Cosmetic Act (FDCA), the Fair Packaging and Labeling Act (FPLA), and regulations published by the U.S. Food and Drug Administration (FDA) under the authority of these two laws. That seems like a lot of supervision and a lot of accountability for the Cosmetic industry. Upon closer inspection however a less comforting picture begins to appear. 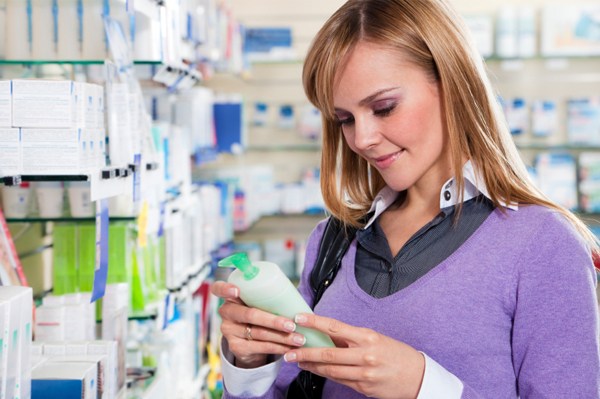 The FDA does not have the authority to pre-approve the labeling of cosmetic products before they are placed on the market, the manufacturer and/or distributor have the responsibility to ensure their products are labeled properly. This means that if somebody in the FDA happens to get around to testing and reviewing a cosmetic product and finds that what is on the label does not add up with what is actually in the product the company can be in big trouble. However, unless someone blows the whistle on them in a big enough way to attract the FDA’s attention many companies can go years and years without their products coming up for testing and review. This means that the actual accountability offered by the FDA for cosmetics is loose and randomly enforced at best. Under the FPLA, if a product is sold on a retail basis to consumers, the ingredients must conspicuously appear on an information panel and be displayed in such a manner that it is likely to be read at the time of purchase. More importantly, the ingredients must be listed in descending order of quantity used, with few exceptions. One such all important exception includes the listing of trade secret ingredients. If the FDA pre-approves a company’s request for trade secret exemption, then that “trade secret” ingredient does not need to be declared on the label, and in lieu of declaring the name of that ingredient, the company may state the phrase “and other ingredients” at the end of the declaration of ingredients. The cosmetic company must first obtain FDA approval for trade secret exemption through a confidential application process before the cosmetic company is exempt from publicly declaring all ingredients. If a company has applied for this trade secret exemption from the FDA they are excused from disclosure obligations on their label no matter what quantity these “trade secret ingredients” may be in the end product. I used to be under the mistaken impression that as long as these undeclared ingredients stayed below a certain total percentage of the product that is what determined whether it had to be disclosed or not. For example, it had to be less than 3% of the total whole of the product. Under this trade secret exemption however that is not true. No longer can I comfort myself upon reading the phrase and other ingredients on a label “Oh well, at least it’ll only be a little bit of the total product…” The fact that it is listed last in the ingredients means nothing in regards to quantities and percentages used on a cosmetic product label. So where does that leave us? Hopefully examining our current cosmetic labels to satisfy personal curiosity. But if the label isn’t required by governing agencies to tell the truth, the whole truth and nothing but the truth how can we even trust what the label says? This is the time to pick up the phone, hop on-line and shoot off an e-mail, chat up a live support person or whatever venue of communication you find easiest and ask a very simple question of the companies that provide your makeup and skincare cosmetics. This one question should enlighten you as to whether or not you can trust the labels produced by their companies. If the answer is no, balking, obfuscating or excuses making (aka explaining how they have a moral obligation to protect their proprietary ingredients) then it is probably time to find a new company. Seek out Full Disclosure Companies. Ask before you buy. You may not like everything they disclose but at least they’ll be doing the courtesy of being honest to you as the consumer so you can CHOOSE to put those ingredients on your skin or not. For all the criticism and flack Neocutis has received from organizations around the world for revealing their “secret” ingredient to their highly successful products I feel like they should in some way be applauded. They have had the courtesy to you as the consumer to freely disclose what they use and how they use it. On their website they openly share the process of how their product was developed. Whether you like it or not, morally and ethically agree with their ingredient sourcing they have put the freedom of being an informed consumer back into your hands when it comes down to evaluating their business and products. There are more than 100 other large cosmetic companies out there that manufacture similar anti aging products as Neocutis. To date, as far as I was able to verify not a single one of them have agree to go on public record with a full disclosure of all their ingredients so that pro life organizations can whole heartedly endorse them as being fetal skin cell free. Neocutis has put the freedom of informed choice back where it belongs and has taken the hailstorm of criticism and boycotts as a result but has not back pedaled or faltered in it’s open policy marketing. Demand the same courtesy of full disclosure of other companies before you give them business and have the courage to withhold your business if they refuse. Coming up soon: Common ingredients in cosmetics and skincare and what they do…for the makeup and to you. This blog post was started several days ago. It was supposed to be an introductory and probably rather dry educational piece on the components that many cosmetic companies use in their products. Including in some specific anti aging products components grown and cloned from the cells of an electively aborted baby. But, I got bogged down in research. Not unusual. This time though I kept putting off digging back into it too deeply. I’ve been a mainstream makeup consumer since my teens. Although thankfully, due to my still on the mid-range to young age most of those products have not been anti aging specific. But, there is still a chance that I have unwittingly used one of these products. Every time I pulled up a new article to read or news report a lump would grow in my throat, my eyes would fill with tears and I’d inwardly cringe and scoop my precious 3 month old little baby closer. The tab would be closed with a mental promise to myself to go back and read it later. You see, a friend of mine just had a little baby this week. With a chubby little newborn body and a shock of black hair to top off a scrunchy little face he looked perfect. They named him Caleb. The whole pregnancy they had been told that he was a she based upon sonograms so the fact that he was indeed very much a he upon arrival was a surprise. Friends from around the world celebrated his arrival. A few hours after birth he was whisked away for emergency surgery. Although all seemed to go well he quit breathing unexpectedly and had to be medically revived and then passed away a few hours later. The grief I have felt for my friends has been indescribable. Maybe it’s because our babies shared names. Maybe it’s because my own worries for the health of our little guy is still so fresh in my memory. Maybe it’s because he was so real and so alive and everything was supposed to be Ok and it wasn’t. Maybe it’s because it just feels so wrong that a baby so loved, prayed for and wanted was taken. 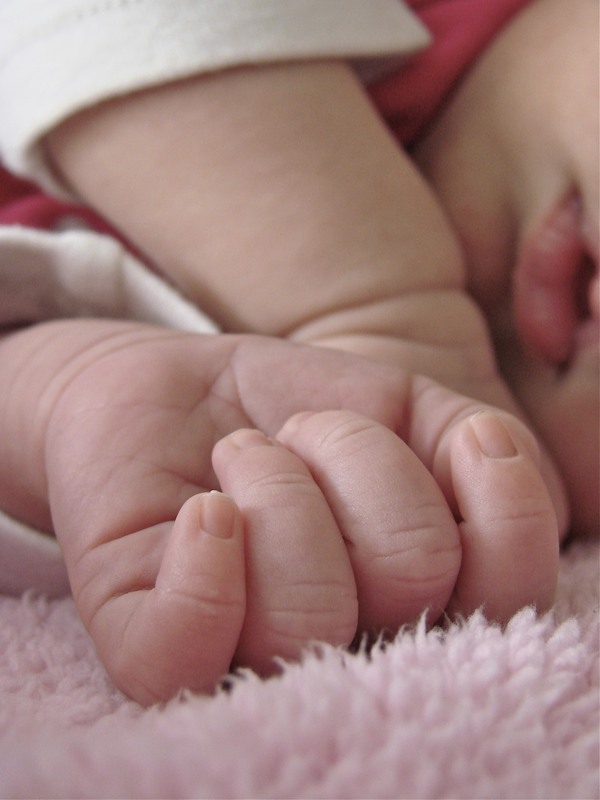 Intermingled with sheer grief over this tiny babies death has been an underlying outrage at what seems to me an abuse of the resource represented by an infants body. That this topic of necessary research has coincided with the loss of my friends precious baby C has thrown all shred of neutrality or pragmatism in my perspective out the window. The data laden info post will have to wait. My visceral reaction to the concept of a baby being electively killed is too strong. One account I read said that the Dr.’s told the parents the baby had defects and it would not live long if allowed to go to term. So the parents made (what I would assume to have been a very difficult and painful decision) to terminate the pregnancy at 14 weeks. A cell bank was created in Switzerland from the infants 14 week old body and cosmetic companies have bought cells from this “bank” and used them as a base to grow some of the most effective skin rejuvenating components available on the market today. The concept of companies profiteering off of the body of a dead baby leaves me grasping for words strong enough to convey the depth of my horrified reaction. Those things we all love about baby skin. It’s smoothness, sweetness, how fresh and new it is with that marvelous ability to rapidly heal are the very precious components that make the cells from a very young baby so valuable. For this reason human placentas are also at a premium. The rich base of concentrated healing and growing power is literal gold amongst our societies eager for anything resembling the fountain of youth. For the pursuit of beauty and youthful appearance there are virtually no ethical bounds that cannot be crossed or readily justified. In the coming days and probably weeks I will be blogging and attempting to offer information that I wish I had access to years ago. My hope is to help educate you as a consumer so that you can choose cosmetic products that are pure and safe enough for your baby…without being sourced from a baby bi-product. My hope is that you will take the time, effort and energy to become an educated consumer. That you will not be satisfied to just not know for sure what is in the makeup and skincare products you put on your skin on a weekly if not daily basis. As careful as many of us are trying to be with what we consume with our mouths, wanting to make sure what food we buy is grown, raised and processed in a respectful, responsible and ethical way it is the worst of double standards to give next to no care to what we purchase for use on our skin. I am personally committing myself to this new learning curve even if it makes me cringe, wince, get frustrated and at times want to cry. There are no excuses for being an ignorance consumer anymore. Hopefully I’ll be able to be less emotional and get some data together for you in the next post. Just to get you started here is an interesting article on this topic published in the Washington Times. Please pray for my friends as they continue to mourn the loss of their sweet son and also for their other two children who are grieving the loss of the brother that didn’t get to come home.